Even when shelter is offered, evicting people from tents hurts more than helps. Op-Ed. 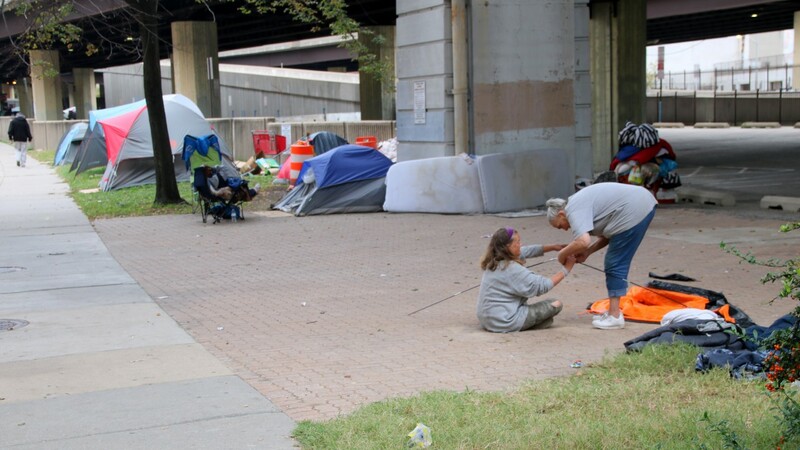 Mayor Catherine Pugh has again put the lives of homeless people at risk by closing another encampment – most recently, a small cluster of tents along the Fallsway near Health Care for the Homeless. A casual observer might not see the harm in it. One might think that closing encampments “done right” can help people – that anything is better than lying on the cold ground or in a tent. But while the city often offers residents of encampments shelter, such shelter is not a sufficient alternative for people who experience homelessness and very often use drugs or alcohol. Forcibly closing encampments in the end puts the health and safety of these residents at risk by taking away the only semblance of safety they may know while disconnecting them from life-saving communities of mutual support. As a harm reduction advocate, I don’t automatically assume that the people evicted from the tents along Guilford Avenue in January and from the Fallsway in February are better off, as crude as those tents and tarp shelters look. I see the mayor and her Office of Human Services placing vulnerable people even more in harm’s way by not giving them the appropriate community-oriented housing they need. Strangely, the city’s actions contradict its own long-stated policy which has called for a person-centered “housing first” approach. Encampment residents rely on the communities they have developed in close proximity to needed services, such as Health Care for the Homeless on the Fallsway. One particular reason this is true: the level of substance abuse in encampments. Among people experiencing homelessness in Maryland in 2016, overdose accounted for 55% of deaths. Community spaces like tent encampments reduce the risk of dying from overdose. So-called “bridge” housing, or dorm-like shelters, lacks the services that residents need and limits their autonomy. When you force people from their communities, even tent communities, you rip them from people who were watching out for them, offering assistance in emergencies like overdoses, and providing vital social and economic support. People displaced by the encampments closures are sometimes coercively placed in so-called “bridge” housing – dorm-like shelters that lack the services residents need and limit their autonomy. Treatment and autonomy have been shown to be critical components of effective intervention for people who use drugs. Many encampment residents refuse to be compelled into these temporary shelters. Forced from their tent communities, they are pushed further into the shadows – away from both social services and structures of mutual aid and into greater risk. Most shelters and transitional housing programs do not allow drug or alcohol use on the premises. While this may at first seem reasonable, it is counter-intuively harmful. When someone moves from a the tolerant community of an encampment to an impersonal shelter, they must hide their drug use, which increases risk of fatal overdose. Using alone, where no one can find or get to you in the case of an OD, is by far the riskiest way to use drugs. When those displaced from encampments are left fending for themselves in abandoned houses, deserted streets or overcrowded shelters, they are also at greater risk of overdose as well as other trauma both physical and psychological. Many well-meaning people might wish for anyone struggling with chaotic, or even occasional, drug use, to become abstinent. However, this is not a straightforward, easy process. Those displaced from encampments are left fending for themselves in abandoned houses, deserted streets or overcrowded shelters. If and when a person chooses to reduce or stop their drug use, relapse is common. 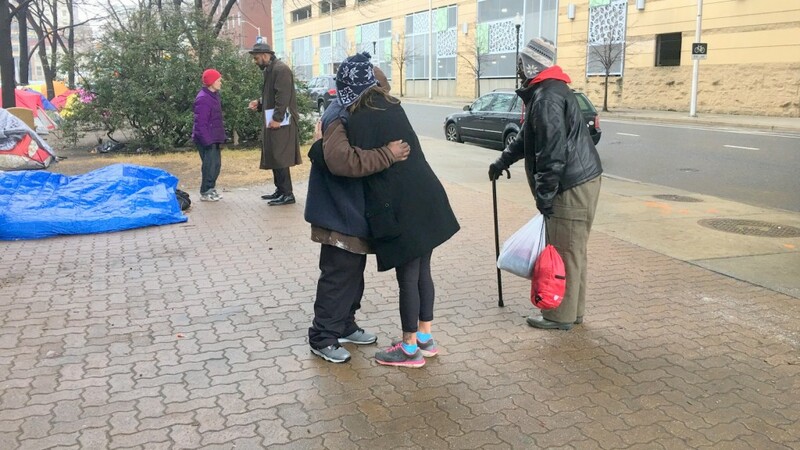 The intolerant and punitive spaces that many people experiencing homelessness might utilize, such as bridge housing, aren’t helping people stay away from drugs or alcohol. All they do is force people who use drugs into secretive practices, practices that put their lives at risk everyday. The city needs to make good on its promise to offer those in encampments appropriate permanent housing. The city needs to adopt a harm reduction and real “housing-first” strategy to assist people experiencing homelessness, especially those who are also using drugs. This means a low-barrier stigma-free approach to assisting individuals when and if they are ready to reduce or halt their drug use. Only then will the city achieve its laudable goals of reduced overdose death and fewer people with inadequate housing. – Harriet Smith is the executive director of the Baltimore Harm Reduction Coalition.